This month's Degustabox arrived last week with some lovely goodies inside. 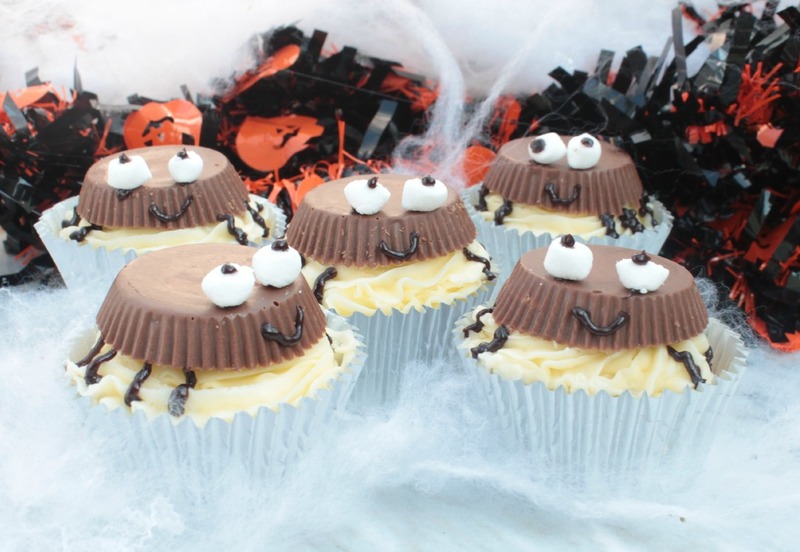 With Halloween around the corner I couldn't resist making these cute Reese's Spider Cupcakes. More about these in a minute but first a peek into the contents of the box. Reese's: I am not a fan of most American chocolate but I do love Reese's Peanut Butter cups so was excited to see these in the box as it is not something my boys would be familiar with. Bassets: In my opinion these sweets are great as they have taken out the flavours I am not so keen on. Maynards: I like these for the same reason as the Jelly Babies. My favourite colours! The Good Cider of San Sebastian: I am not a massive cider fan but these were nice. Up & Go: There was a time when I didn't eat breakfast and these are great for breakfast on the go. Nice enough but not something I would regularly buy. Complete Energy Bites: These are not something that I like the idea of and would not buy. The Olive Shop: I am not an expert on olive oil, but this seems nice. Kent's Kitchen: These spicy noodles went really well with some peppered salmon. Sweet Sally Tea: Not something I would usually buy, but it tasted nice. Mallow and Marsh: These tasted nice but do seem expensive. I have saved one to try with a squeeze of lime like it recommends. A bit of a mixed box, but the sweets and olive oil certainly made it good. Set your oven to 180C and mix all the cupcake ingredients together. Bake for 12-15 minutes and allow to cool. Mix the butter and icing sugar together and pipe onto the cupcakes. 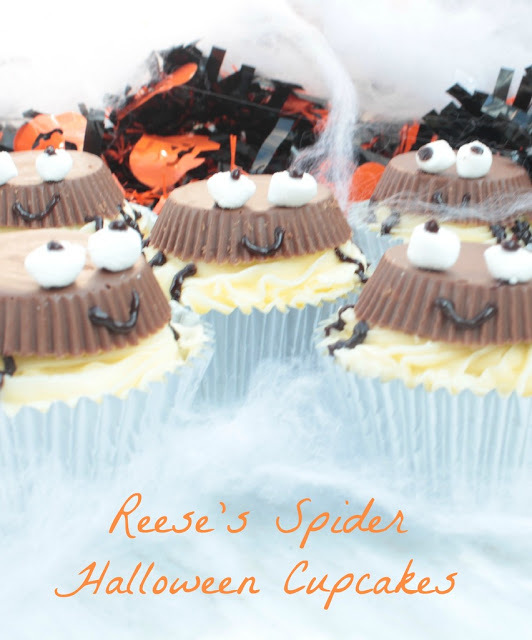 Add a Reese's Peanut Butter Cup to the top of each cake. 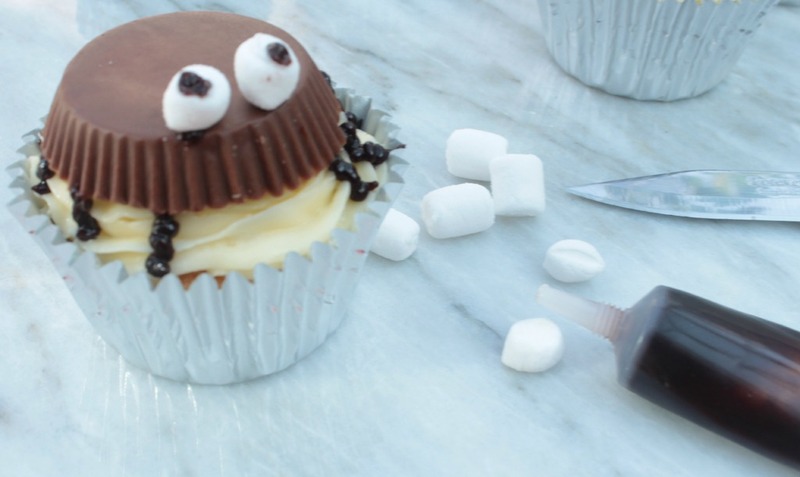 Cut the marshmallows in half and use the chocolate icing pen to stick them on and make pupils. Also add the detail of legs and a smile. A lovely simple recipe for Halloween which is more of a treat than a trick!